I was glad to take part of the graphic design week in Saudi Arabia, organized by Dar El Hekma college in Jeddah, and witness the first event of its kind in the kingdom. On one hand, discovering the local charm of another Arab city was very exciting on all levels: Looking at the beautiful old areas of Jeddah; documenting the graphics and typography on the streets; and viewing closely wonderful examples of the traditional Hijazi architecture and style. On the other hand, the conference itself, entitled “Tawasol”, was a stimulating event that triggered a considerable local interest. Speakers included high profile international designers, design critics and communication experts such as Jonathan Barnbrook, Tea Triggs, Anja Lutz and Adbusters media foundation. I personally enjoyed very much the lecture of Lebanese architect and artist Nadim Karam and his concepts and projects often narrating the “dreams of cities”: Projects such as the Archaic Procession urban art installation in Beirut Central District in 1997, a series of gigantic sculptures which I recall positively as a very curious addition to the city during my study years at the American University of Beirut. The talk of UAE national Mohammed Harib was highly appreciated by the audience: He is the creative mind behind the Middle East’s pioneering animated 3D series, Freej, a project celebrating the culture and tradition in the UAE through animated characters that literally became national heroes across the Emirates. I gave a lecture and a workshop at the conference. 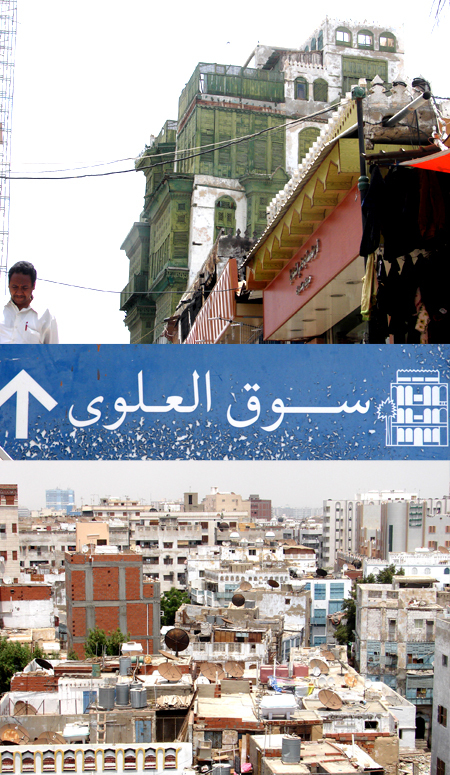 The lecture was a critical look on emerging graphic design practice in the Arab world today. 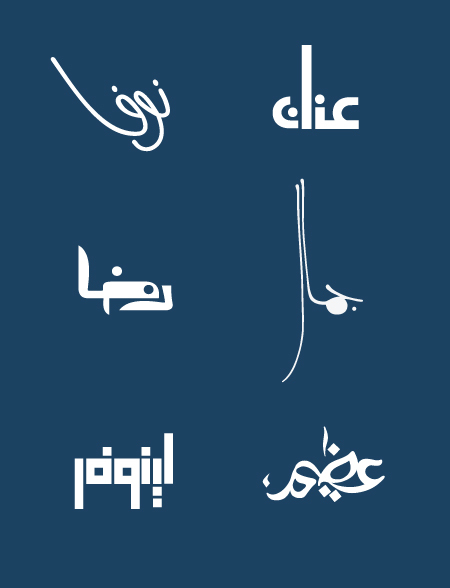 The workshop followed the same one day course module I gave in Kuwait a week earlier, consisting of a typographic lettering exercise that invited senior and junior graphic design students to “design” an Arabic word of their choice. Sketching the graphic and typographic endless possibilities of a specific word lead to very interesting results, some of which are previewed below. They ranged between calligraphic solutions, geometric ones, and freehand lettering style. Selected work from the workshop. Top, right to left: Zainab Al Mashat, Nouf Ahmed Dahran , Marya Bakhsh, Alaa El Khereiji, Amnah Naghi, Amna Kamel. All in all, I was most impressed I think by seeing the emerging graphic design scene in Saudi Arabia and the motivated young generation of local Saudi female designers highly interested in design and typography. It was not surprising then to pick up a local graphic design magazine, “Design”, initiated by one of the graduates of the graphic design department of Dar El Hekma college.